In case you hadn’t noticed, it’s essentially the biggest weekend in motorsports. 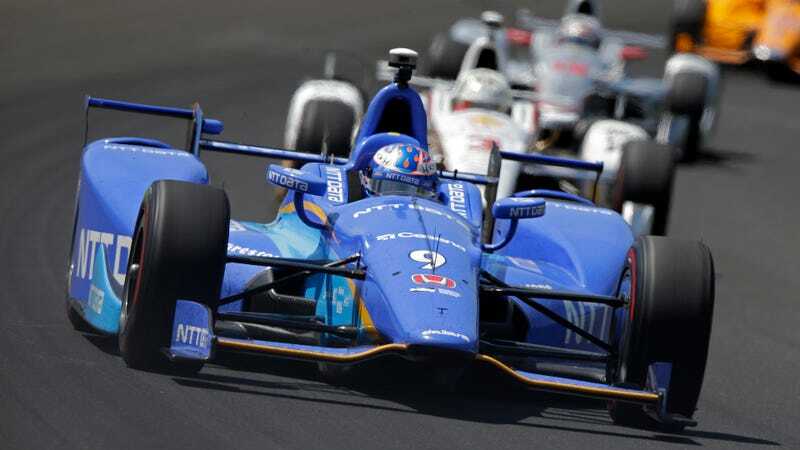 The Indianapolis 500 is Sunday, complete with Scott Dixon on pole position and Formula One superstar Fernando Alonso, who will skip the Monaco Grand Prix to race IndyCar’s biggest event, starting fifth. The semi-retired, semi-still racing Jenson Button will take Alonso’s place in Monaco, the crown jewel of F1. If you’re in the Eastern Time Zone, the Monaco Grand Prix will make for an early wakeup call and the Indy 500 will carry you in to the afternoon. The night will cap off with NASCAR’s Coca-Cola 600 night race at Charlotte Motor Speedway, which is the longest event of the season and will certainly feel like it. But, hey—next year, the Charlotte playoff race will run its road course-oval configuration to, hopefully, make for a more exciting show. And, for most of the weekend, cars will be running around the Nürburgring for its annual Nürburgring 24 Hours. What a weekend, right? That’ll be streamed live on YouTube in both English and German, and the link to the English stream is listed below. Also streaming will be a no-prep drag-racing event from Texas, and the FIM World Superbike Championship’s stop at Donington Park. It’ll be the World Superbike’s first event without regular competitor and 2006 MotoGP World Champion Nicky Hayden, who died Monday evening after being hit by a car while cycling. He was 35 years old. The tape-delayed coverage includes Chili Bowl action, the Lucas Oil Late Model Dirt Series, the Lucas Oil Pro Motocross Championship, FIM Motocross and the Lucas Oil Off-Road Racing Series. If you know of any additional racing events or streams going on this weekend, please feel free to share in the comments below.